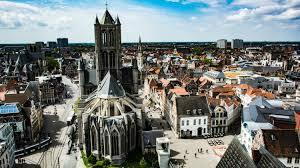 Get Cheaper Car Hire in Belgium - Compare discounted prices for MPV, SUV & Minivan rental at Belgium airports and towns.. Compare and book car rental in Belgium, as well as getting an estate car for the family, or SUV. Larger groups can opt for the seven or nine seater minivan. You can book here, at discounted rates, with either Alamo, Avis, Budget, Enterprise, Europcar or Sixt. You can book your car in many different languages as well as currencies. Diesel - Cars are available, so look for logo if one needed. On Airport - Most suppliers have cars at the airport, with a fuel policy of pickup full, return full. We advise to book as early as possible, especially if after an minivan, MPV or Station Wagon. The MPV is a high demand car category. We have a wide range choose from. The Renault Espace with seven seats for a large family, or VW Minibus for groups of nine. Or, if bringing your golf clubs, try the VW Passat Estate or Renault Scenic Estate. In Belgium we offer a great choice of economy car hire, with no excess on luxury cars, economy cars and minivans to seat nine passengers for hire. Prices include airport tax, VAT, and road taxes. Prices quoted also include third party liability insurance, theft protection, collision damage waiver and unlimited miles. We will ensure you get off to a good start on your holiday or business trip. Speed limits on motorways and dual carriageways are 120 km/h. If on an open road then 90 km/h. In town 50 km/h. But only 30km/h if near schools, hospitals, churches etc. So best to keep you hire car below the limit, to avoid speeding fines. 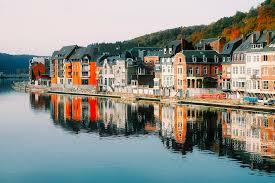 Belgium can claim to have more castles per square mile than any other country. Hiring a car in Belgium will allow you to experience these beautiful castles, with exquisite formal gardens, peaceful rivers and abbeys. The country does not have one official language, but three and Belgian is not one of them (there is no Belgian language). They speak Dutch, French and German and there are over eleven million who reside here. Call them for a chat by calling +32. You will speak to a Walloon or a Flem. 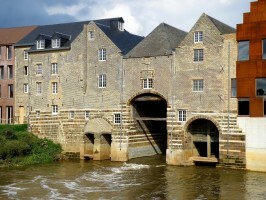 Belgium was invaded during World War II so it is home to many historic battlefields. Popular sports are football, tennis and cycling(apart from France, they have the most Tour de France winners). One ways are gaining popularity. 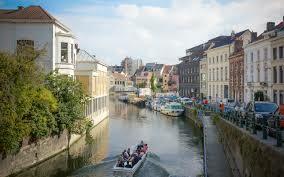 For example, pick up your rental car at Brussels Hilton Hotel and return to Berchem Train Station. One ways within Europe can also be booked, i.e if need to leave car in Holland, Germany or France. Book an SUV or MPV with Sat Nav in Belgium. Compare vehicle prices for Antwerp, Brussels, Liege, Charleroi. Good quality minivan suppliers throughout Belgium. 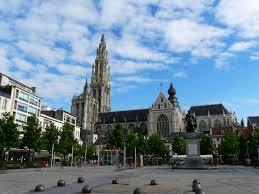 Antwerp, Brussels Charleoi and Zaventum, Liege and Ostend-Bruges. 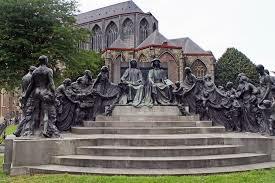 Then also we can provide car hire in all these towns and cities in Belgium:- Arlon, Antwerp, Ath, Brussels, Gossielies, Hasselt, Gent(Ghent), Korbeek Lo Leuvren, Kortrijk, Mechelen, Liege, Mons, Namur, Sint Niklaas, Wavre, Tournai and Zaventm.